I needed to get a lamp for my 4x2x4, a nice fixture to mount and save vertical space. I didn't want a Viparspectra or something like that, because they are thick and COBs are also like that, a little. But not quantum boards. So here i go, just got these from timber grow lights. For my breeding room... HAHAHAHA! 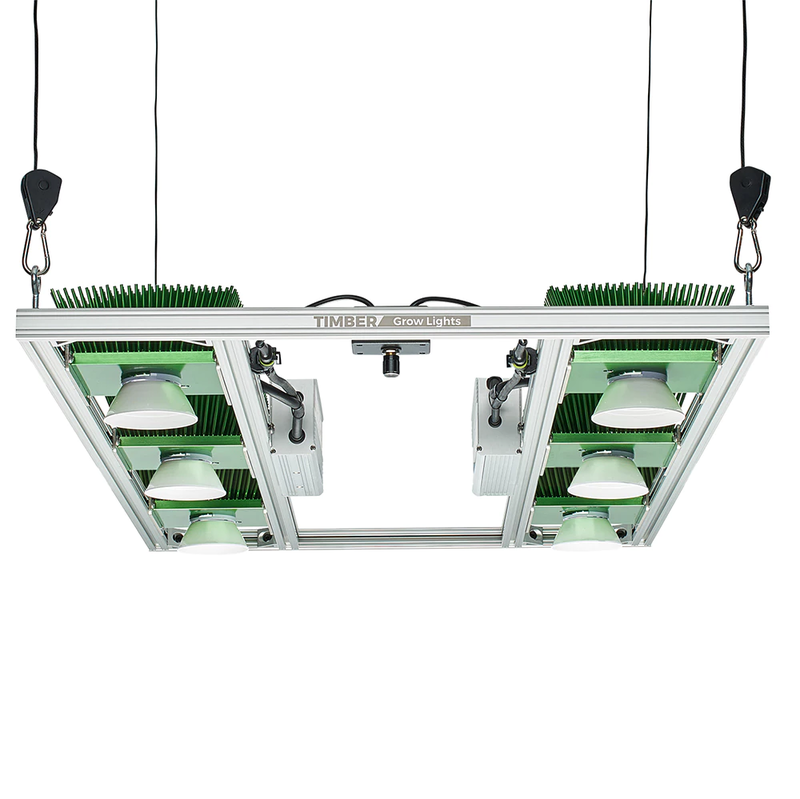 High quality COB LED Grow Lights hand built in the USA using top quality components featuring Cree, Meanwell, Vero and Citizen. 3 Year Warranty, high PAR/PPFD, low heat, close canopy operation, noise free dimmable operation..
Nice, Its been hard to find QB in stock lately. What spectrum did you choose, 3000K? I went with the similar setup, but with 2700K SolStrips. What spectrum did you choose, 30000K? Yes, i went with 3000K, there's two of them with the wire and it's all pre-assembled, i will just need to mount it on a frame. I corrected it for you bro. Nice catch, guess that second cup of coffee hasn't kicked in yet. This is me, i made a channel on youtube to link the videos in here. I might even talk at some point, but for now, old style mute movies... Roaming over some tester Lemon Garlic OG x Starfighter by @LED_Seedz. Good on ya mate! I saw it on IG. Excellent! What is the YT channel so I can tune in? I have no idea, i just copied the link... Let me get back to you on that one. My six year old told me i could have a channel and link the videos to the "little plants website" you are always on... AHAHAHAHAHAHA! I know! My 8 year old granddaughter posts videos on youtube. It amazes me what they can do with a computer. My 8 year old granddaughter posts videos on youtube. It amazes me what they can do with a computer. My kids goes to school since she was 2 yrs old. They say 90% of the sinapsis pathways in the brain are developed before you are 6. I wanted to give them a head-start. I created a monster... HAHAHAHA! PS. : They also say the only thing powerful enought to re-write sinapsis pathways when adult is religion. Go figure. They also say the only thing powerful enought to re-write sinapsis pathways when adult is religion. Go figure. Like breeding weed man... Just like weed! Yep. love, light, and nutrition. And the most critical...your time. Making clones, i already cloned some males just for the hell of it, and they all got roots; i threw them away after that. They were even flowering and all. I just cut all the clusters of flowers and left them with little leaf material, and that did it. These are the cuttings, they got the gel and were left to absorb a little bit of it, before starting the sprayers again. There are 12 Alien Rift and 12 Lemon Garlic OG x Starfighter. Put some Rhizotonic and Thrive Alive Red in the tap water, i heard chlorine is good for clones, to keep them septic. We'll see in 10 days. I am getting a lot of troubles with the people form the PO, so i am gonna clone a little to stash the seeds for a latter grow. I have a Vero29 v7 puts out 685w max and it has got six COBs, i am seeing the lamp works and light gets everywhere but... I would much rather have 9 COBs to completely cover my 4x4. And when i get my kit it will look like this, running at around 1120w max with the nine Veros at 3500k.